The Northampton MUD swimming pools are open seasonally and accessible to residents or non-residents who pay an annual user fee. For more information concerning the user fee and related facilities, please click here. Private parties are not available at the pools, however groups of ten or more are allowed with prior reservations. Additional lifeguards may be required. Please contact the MUD building, at 281-376-3499, for reservation information. For organized swimming programs and pool related activities, including swimming leagues, please visit the Swimming Programs pages. The pools typically open May 1st on weekends only. Pools begin daily operation at the beginning of summer vacation. The pools close the daily schedule at the onset of school, but remain open weekends only through mid-September. Specific open and close dates vary annually. The Northcrest Pool, located at the Northcrest Recreation Complex, is a life guard staffed, heated, twenty five yard, 200 thousand gallon swimming pool with a diving board. There are two pavilions overlooking the pool deck and nearby picnic and playground. 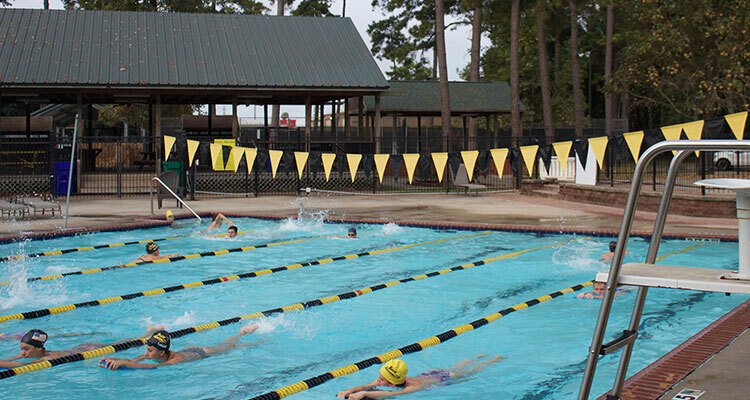 The pool is equipped with an Automated External Defibrillator (AED) in case of emergency. This AED is automated with voice instructions and does not require training to be utilized. Daily, 11:00 a.m. – 9:00 p.m. Located at the Northcrest Recreational Facility. 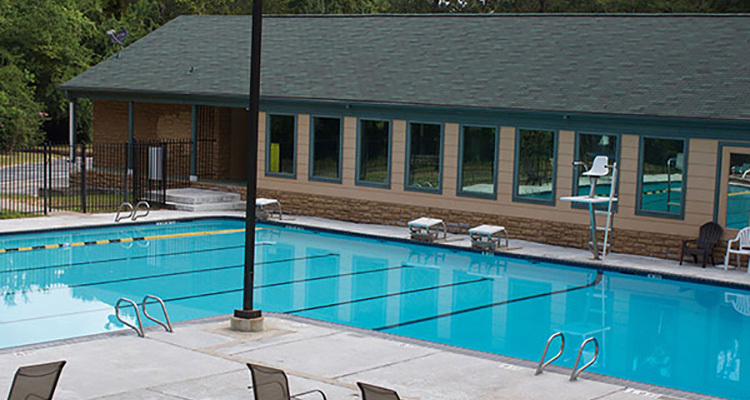 Inway Pool, located at the Inway Fitness Complex, is also available to residents or non-residents who pay an annual user fee. The lifeguard-staffed, 175 thousand gallon pool is complete with diving board. There is a large pavilion with outdoor kitchen area overlooking the pool. The facility is also equipped with an Automated External Defibrillator (AED) in case of emergency. This AED is automated with voice instructions and does not require training to be utilized. The unit is located in the fitness center. Located at the Inway Recreational Center. Safety is the primary focus of pool operations. Our lifeguards are required to receive extensive training for this purpose. Adult users are asked to cooperate with the staff and allow them the authority to maintain a safe pool environment. Should any user disagree with pool rules or lifeguard actions, their concerns should be directed to the District Manager at the MUD building. No running on pool deck. Dive only in the diving area. No food or drink in the pool. No glass containers on the pool deck. If you are being mean, you will sit out… so please be nice! No throwing objects in the pool. Floats must be approved by life guard. No smoking/vaping of any kind. Non-potty trained children must wear swim diapers. Members must not prop open gates or let non-members in. Violations can result in termination of pool usage. Furthermore, the District can, at any time, revoke the privilege of use of the facilities by any person or persons due to misconduct or violation of any of the rules and regulations as set forth by the District. In the event of any such action, any user fee paid will not be refunded.